These are the perfect live bands for corporate events, weddings & parties in the London area .... in fact any event where you want to dance all night to rock and pop hits from across the decades! Find the best local function bands in London only at Alive Network, the UK's biggest music agency. International roaming band. Clients including Google, Formula 1, HSBC, British Airways, Jaguar Land Rover, Natwest, Help For Heroes, Air Canada, United Airlines, The Mulia Bali & many more - this is one band in serious demand! Want help finding your perfect London acoustic band? If you would like assistance finding the perfect live acoustic act for your event in London, simply give us a call or submit the quick enquiry form below and one of our talented entertainment coordinators will be happy to assist. With inventive mash ups, four-part harmonies and un-ignorable grooves, Rambling Band are an exciting portable roaming band. The perfect ice breaker for your event, Rambling Band will get your guests singing, bums shaking and feet tapping! 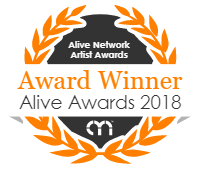 Alive Network are London's largest live music and entertainment agents and one of the leading live entertainment agencies in the UK. We specialise in providing London's best live acoustic artists, singers, musicians, DJs and entertainers for events across London.